Upma is originally a South Indian dish but it is made in all parts of India. It is made from coarsely grounded wheat called rava /suji / semolina, rice grains, vermicelli and even with quinoa. Upma is seasoned by curry leaves which gives it a nice southern flavor. Dalia or broken wheat is generally eaten in North India. Being a gujrati, Dalia or fada (broken wheat) recipes like Dalia lapsi (fada lapsi), Dalia khichdi (fada ni khichdi), Dalia Upma (fada no Upma) were always made at my home. 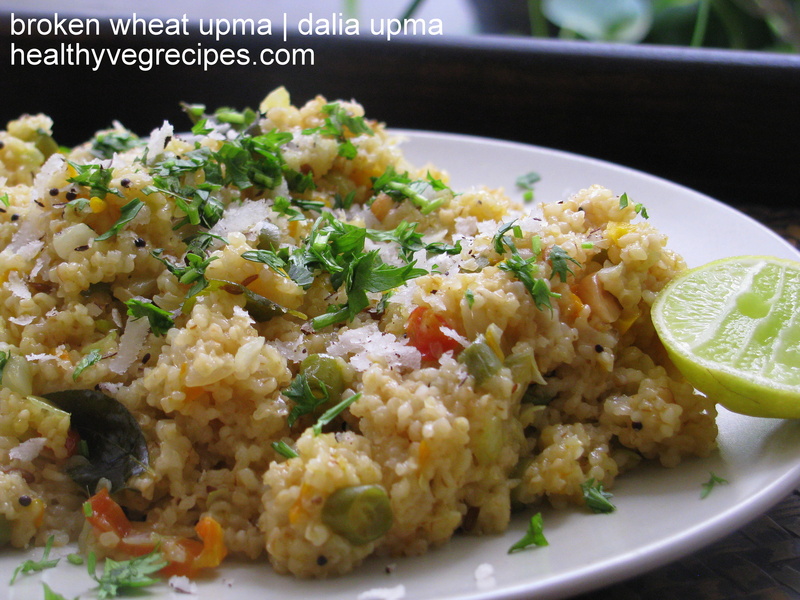 Dalia Upma or broken wheat Upma is a nice combination of Dalia with vegetables. Dalia Upma is little spicy. It is cooked with onion, green chilies, vegetables, nuts and with different spices to maintain its savory. Upma made from broken wheat / Dalia is high fibrous & nutritious food for breakfast as compared to upma made from semolina(rava/ suji). 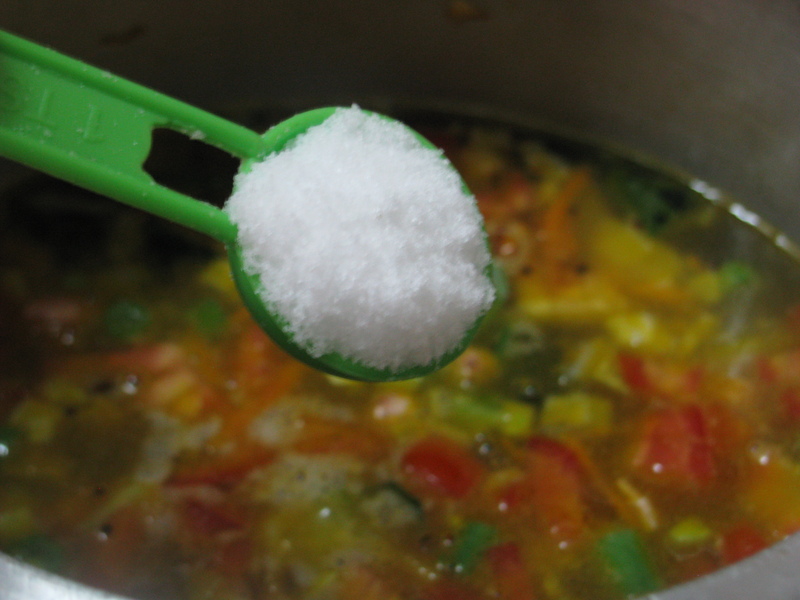 It has very balance taste and suitable for consumption of both children and adults. Dalia is made from whole wheat kernels because of that it has outer bran as well germ of the cell. For the same reason Dalia is often used to make healthy diets especially for heart patients. It has high glycemic index than refined flour so good for diabetics. Consuming Dalia can even lower the risk of type 2 diabetes. It is non refined that’s why very nutritious, it has high proteins with low fat and low calories. It has twice the fiber as compared to brown rice. Dalia is also good for people with constipation problem as it has lots of insoluble fibers. In market we get Dalia(broken wheat / cracked wheat) in two sizes. This is small size Dalia with fine and firm texture. 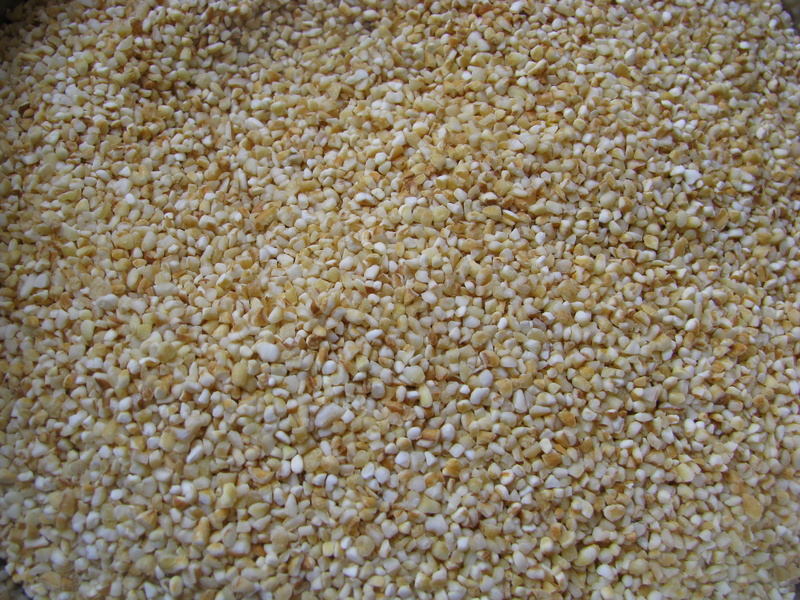 This type of crushed wheat Dalia is used for making Dalia kheer, lapsi or plain Dalia with milk. 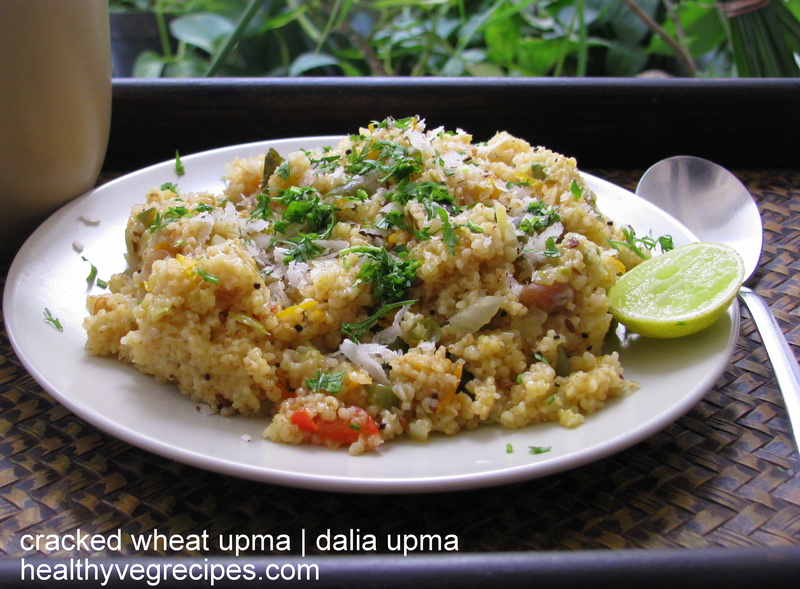 How to make Dalia / Broken wheat Upma Healthy as well as tasty? I have made this Dalia Upma from medium sized broken wheat. 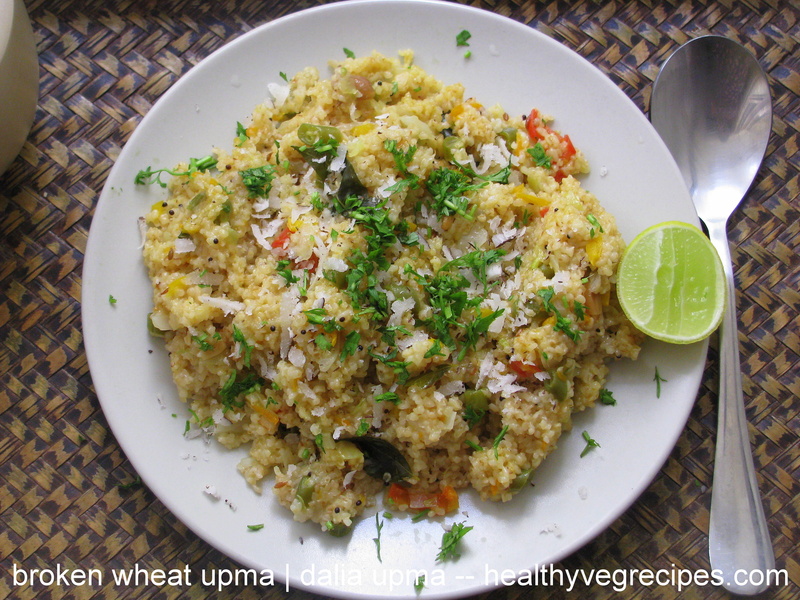 Preparation of this broken wheat Upma recipe is very easy and doesn’t require much time. 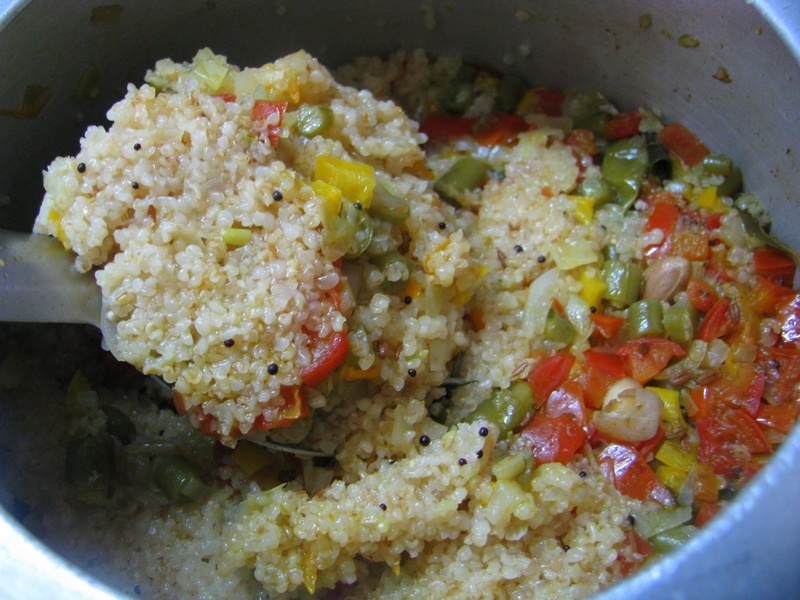 Use lots of vegetables to make this Upma. 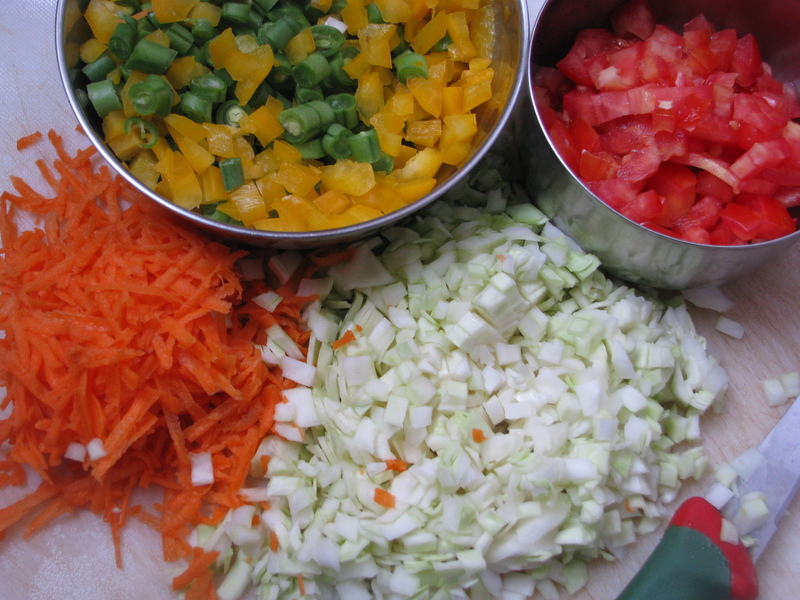 Vegetables like carrot, peas, beans, bell pepper (colorful capsicums), tomatoes, cabbage ,zucchini etc. gives nice taste to the Upma made from broken wheat. You can use any of this vegetables which is easily available at home. Less vegetables makes this Upma little dry and less tasty. I have also added roasted peanuts to give a nice nutty taste to this recipe. For garnishing I add green coriander, grated coconut and dash of lemon juice the same way i did it in Vegetable Poha recipe . I have explained step by step method of how to make Dalia Upma recipe. I hope you will like the recipe. Do share your comments and suggestions for this recipe. I am using roasted Dalia in this recipe , but if you are using plain Dalia roast it in Kadhai or pan until the nutty flavor starts coming out and Dalia becomes light to roast. 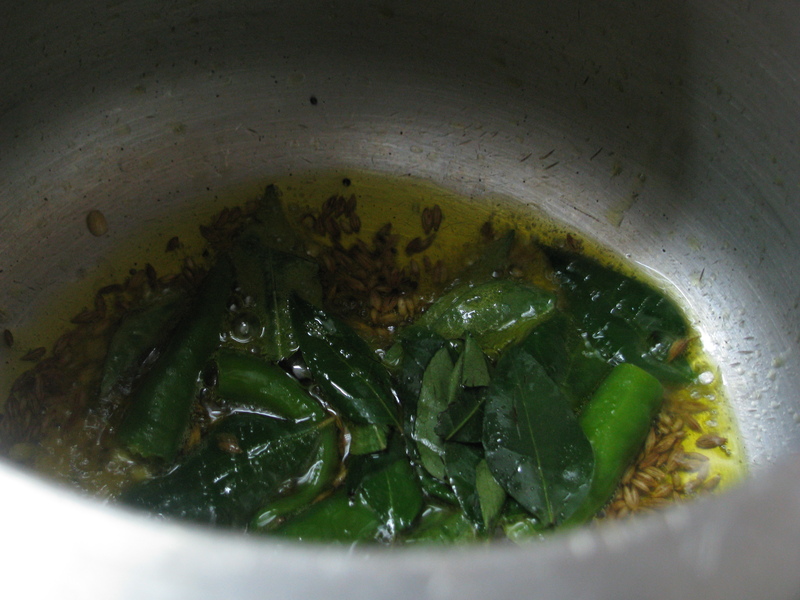 Heat oil in the pan, add mustard seed to it . when it starts crackling add jeera & urad dal to it. Add onion and sauté it until it becomes translucent. 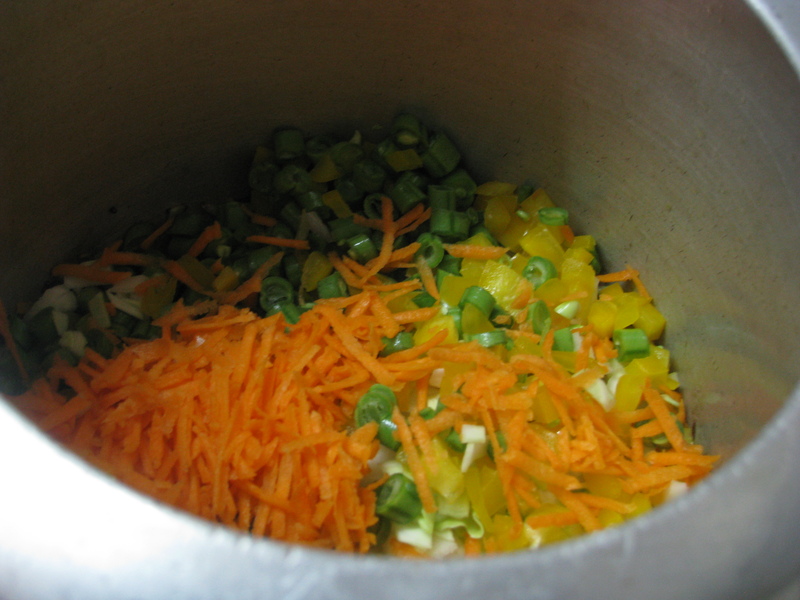 Add all chopped vegetables except tomatoes and sauté it for 2-3 minutes. 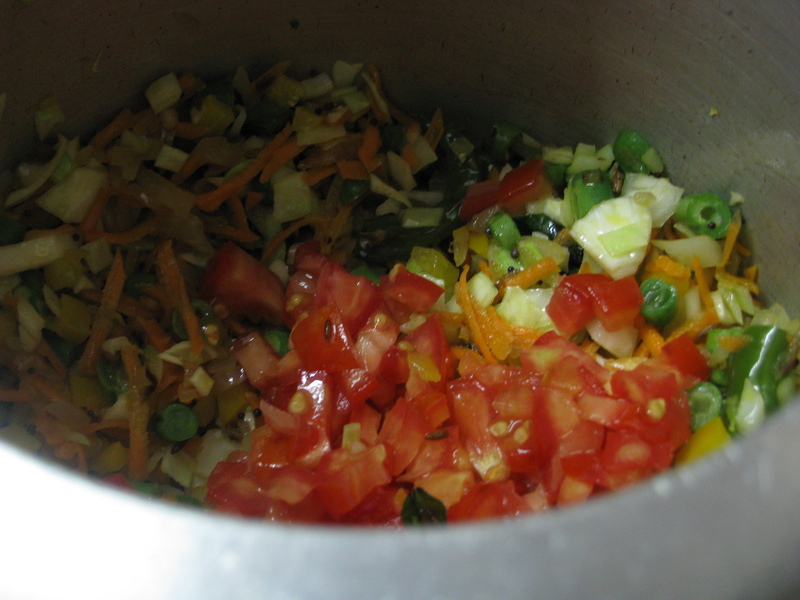 Now add tomatoes and let it cook 2-3 minutes. Add water, salt and roasted peanuts to it. 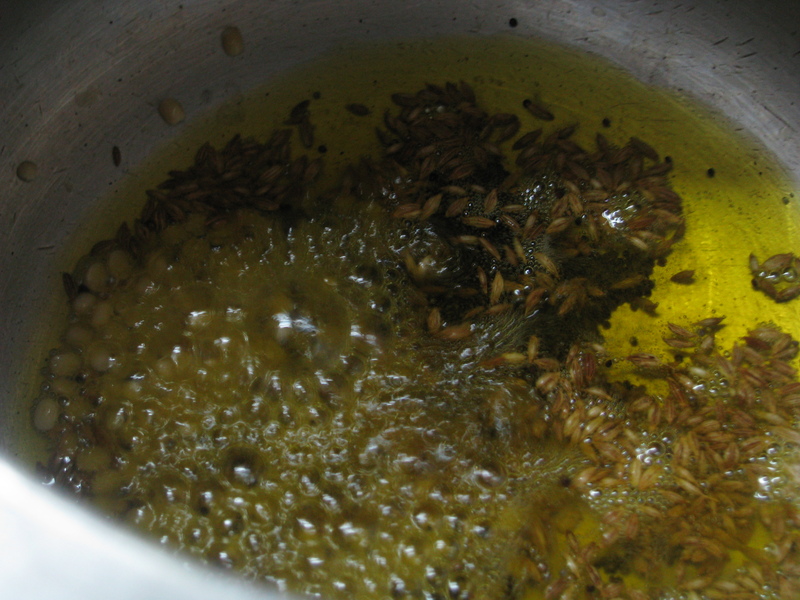 When water starts boiling add roasted Dalia to it and mix it nicely. Close the pressure cooker lead and let it cook for 3-4 whistle. When the pressure release from cooker and then open to see if its cooked or not, if it’s not cook close the lid and let it cook for couple of minutes on medium flame. # You can also cook Dalia in kadhai or pan. 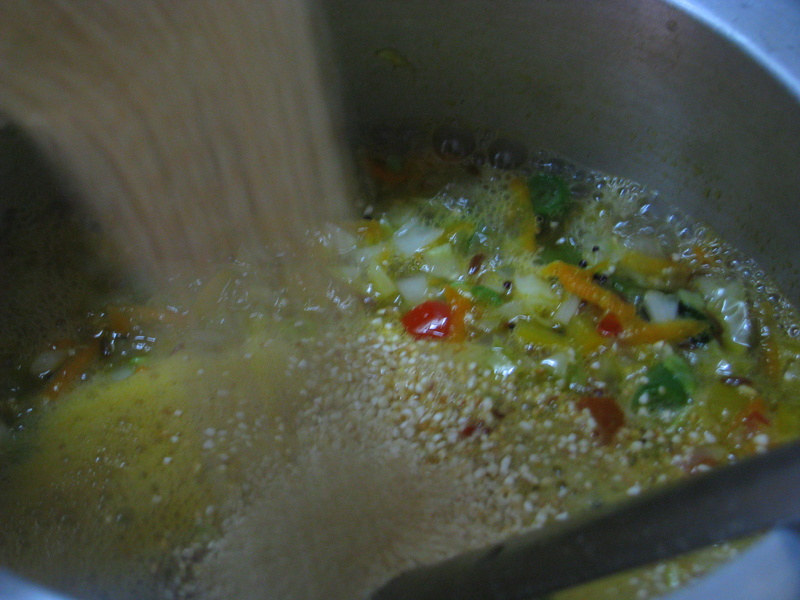 It takes more time to cook Dalia by this method. 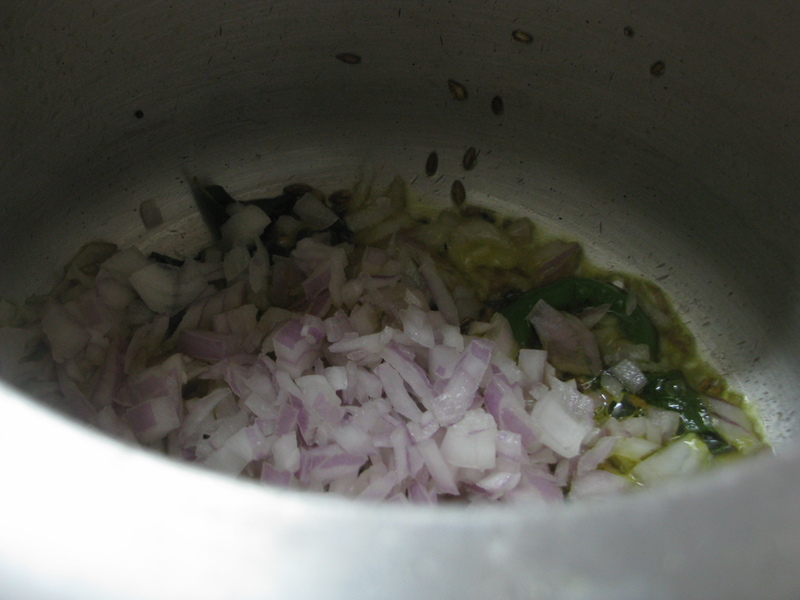 Add ½ cup more water if u want to cook Dalia in kadhai or pan. Serve Dalia Upma Hot With grated coconut , coriander garnishing and a dash of lemon juice. Enjoy!